Every time I walk into a craft fair, bunting banners seem to be all the rage! Every booth seems to have one. When my friend Mandi at Persnickety's moved her shop to a cute little town called Sumner, she asked if I would make some burlap banners for her to sell at the shop. Today, I will show you how I made them. I cut my burlap into pennants with a pattern that I made. 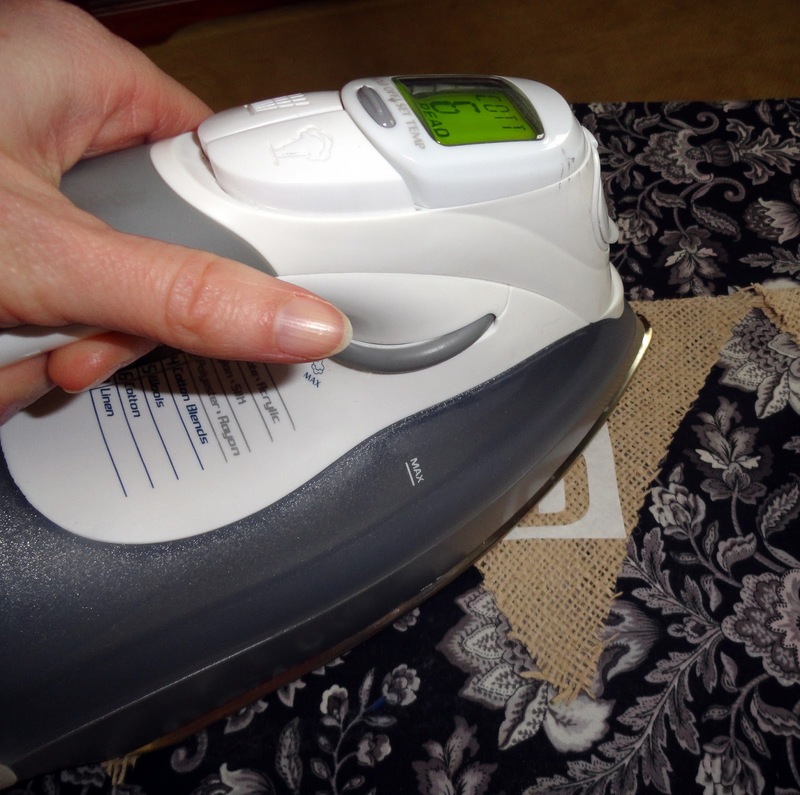 It's not hard, just a triangle with a little extra at the top so you can fold it over. I used twine and some hot glue to secure the top of the burlap to the twine. 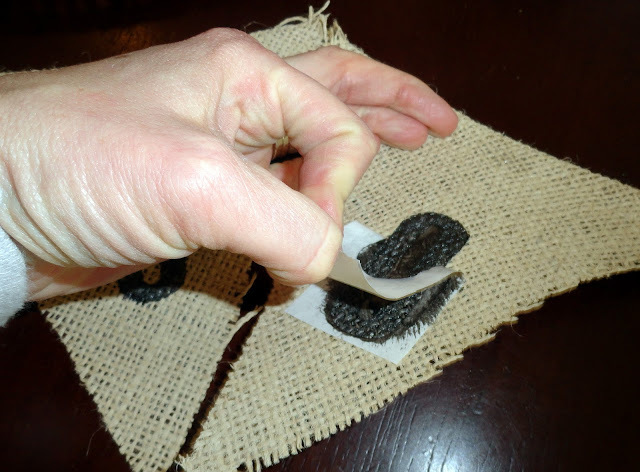 Burlap unravels and is sometimes really thin, so I thought I would secure the loose ends in place with some mod podge. 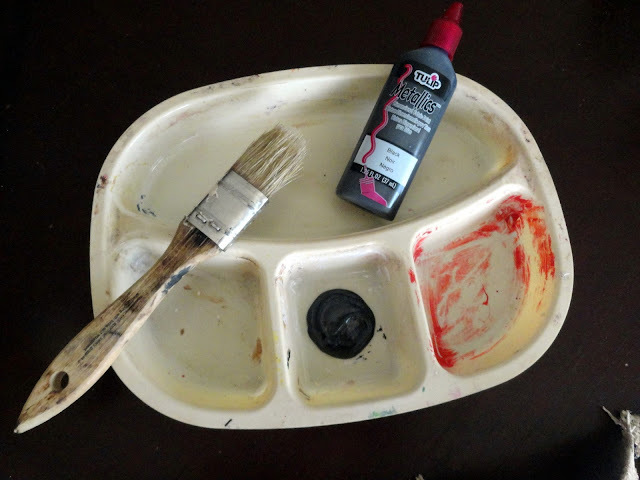 I mixed my mod podge with some white paint and painted it on. It doesn't take long to dry. I thought it would be easiest if I had freezer stencils made up for the letters. I cut my freezer paper down to size to fit in my Silhouette. I always use spray adhesive to secure the paper to the cutting mat. After I got my font and letters the size I wanted in my software, I cut them out of the freezer paper. I cut the freezer paper down so that I had a small surrounding area around the freezer paper. I used tulip fabric paint for the lettering. 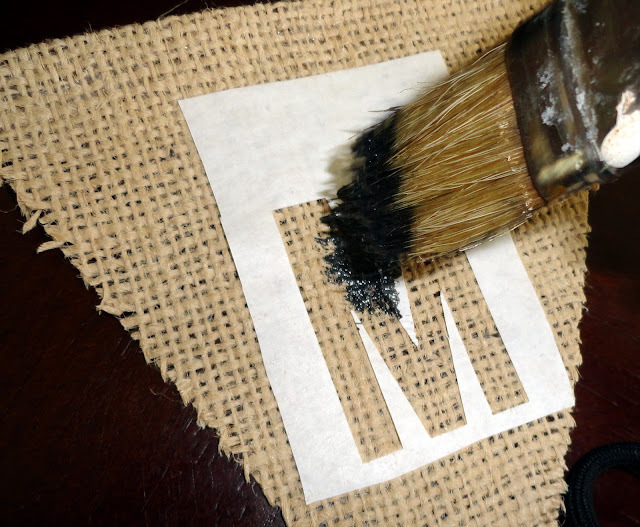 Carefully dab your paint in place on your stencil. 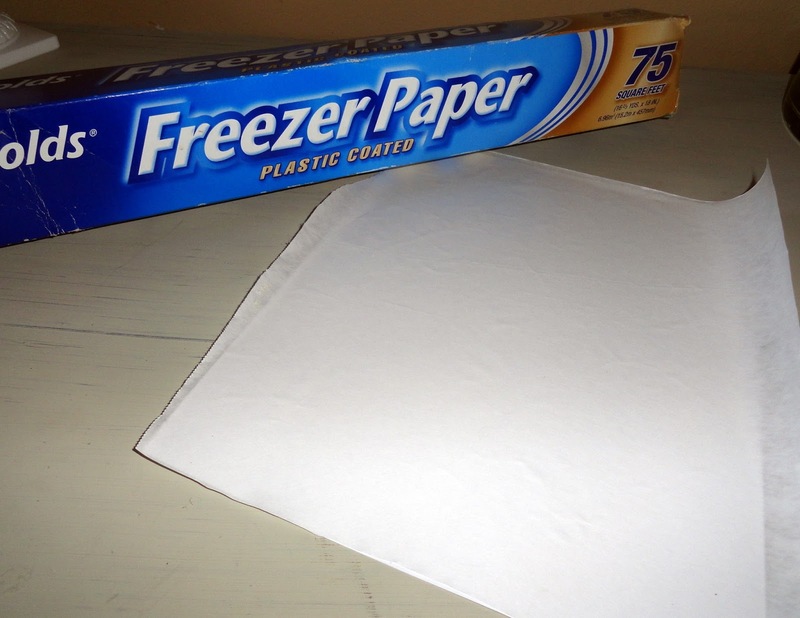 Once it's dry, you can peel off your freezer paper and your letter is done! 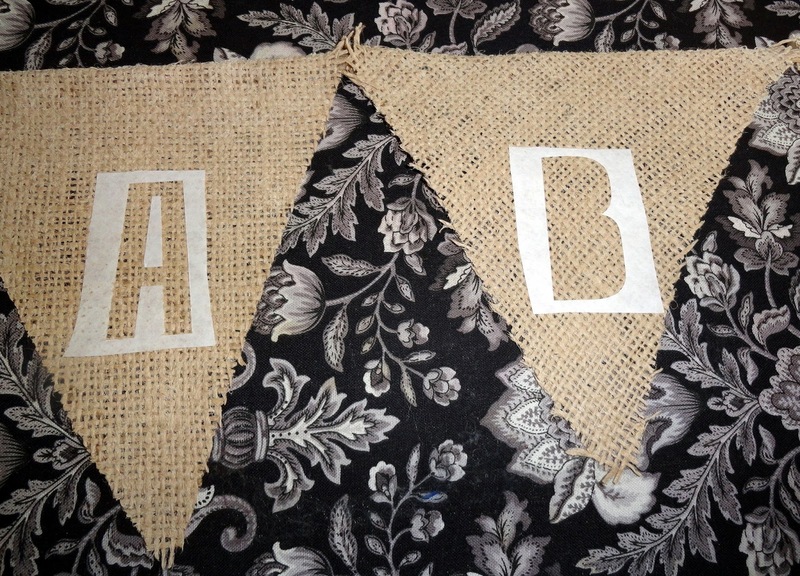 Somewhat time consuming but a fun little addition to any room, for a baby shower, or for your craft booth! 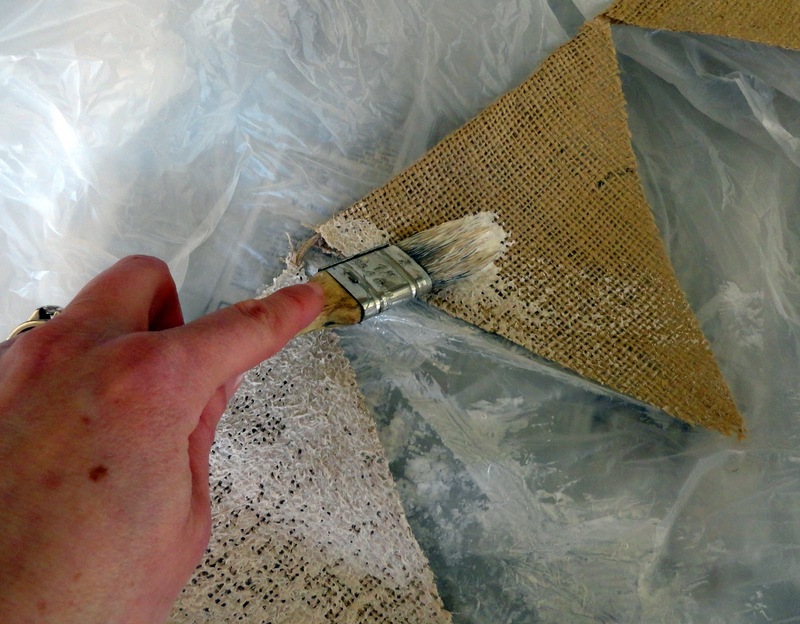 Great idea for freezer paper. I will definitely use that one!